You must be a member of the Madrid Opera and Classical Music Group to attend this activity. Would you like to join this group? 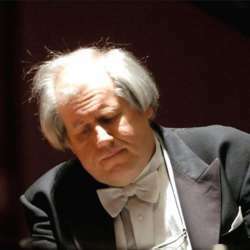 Considered by many experts the best pianist in the world, russian Grigory Sokolov is able to fill any concert hall around the world with only the announcement of his fingers on the piano, as happened last year at the Auditorio Nacional, when the public was enthusiastic about his way of "not acting", but "only" playing the piano. We have the opportunity to enjoy his music again in Madrid in the same venue. Those who had the chance to enjoy his music last year, will agree with me that this is an occasion not to be missed. After the concert we will meet in one of the nearby bars .